DAS Auto Service is a full service auto repair and maintenance shop serving the greater Akron area with 30 years of family friendly service. Our mechanics are A.S.E. 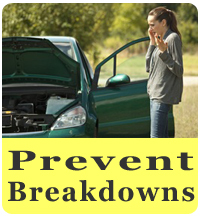 certified in car repair and have experience with both foreign and domestic models. We are a full-service "Auto Service Center plus we are an authorized Ohio EPA E-Check repair facility. 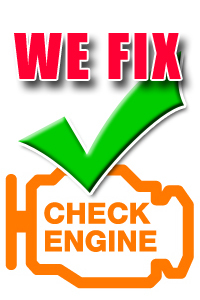 We look forward to helping you find the right auto repair solution. Our experience and professionalism has helped us grow and have a loyal customer following. Call or visit us for a complete line of maintenance and repair needs, including quality name brand replacement parts, expert electrical repairs and diagnostics, prompt service and competitive pricing. We understand that sometimes car repairs can be stressful and we do everything possible to make our customers feel welcome, comfortable and satisfied with their service experience. We believe in being up front and honest with all our customers and pride ourselves in fixing the problems correctly. Don't get stranded. 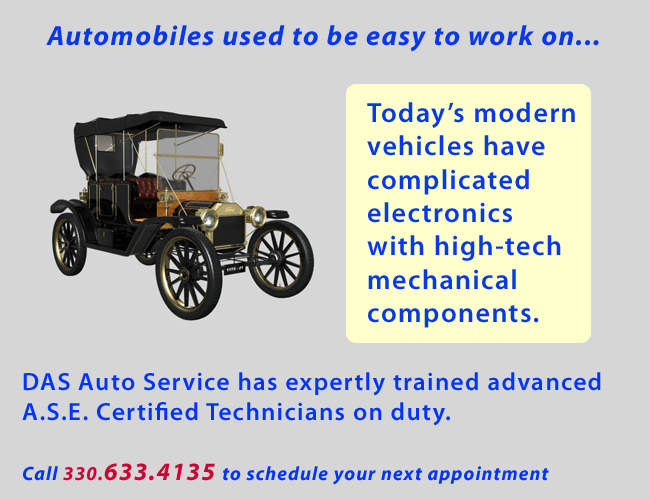 DAS Auto Service can keep your vehicle in proper working order.